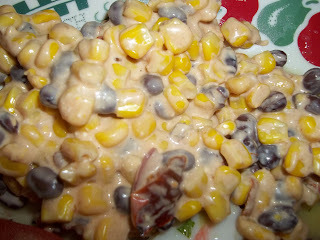 This is a bit of a cross between Cream Cheese Corn and Chipotle Corn Salsa. The Chipotle Corn Salsa is still decidedly my fav of these three, but decided I didn't want to overdo the avocado since I already had avocado in the Crab Salad and I was very pleased with how this turned out. 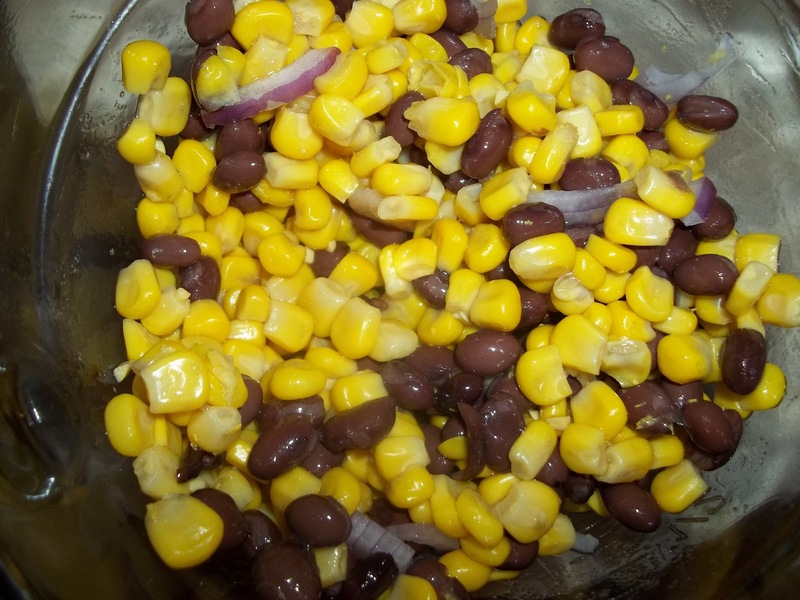 In medium bowl combine corn, beans, chipotle and onion. Set aside. In small saucepan heat cream cheese and adobo sauce over low heat until cream cheese is melted. Add corn and bean mixture. 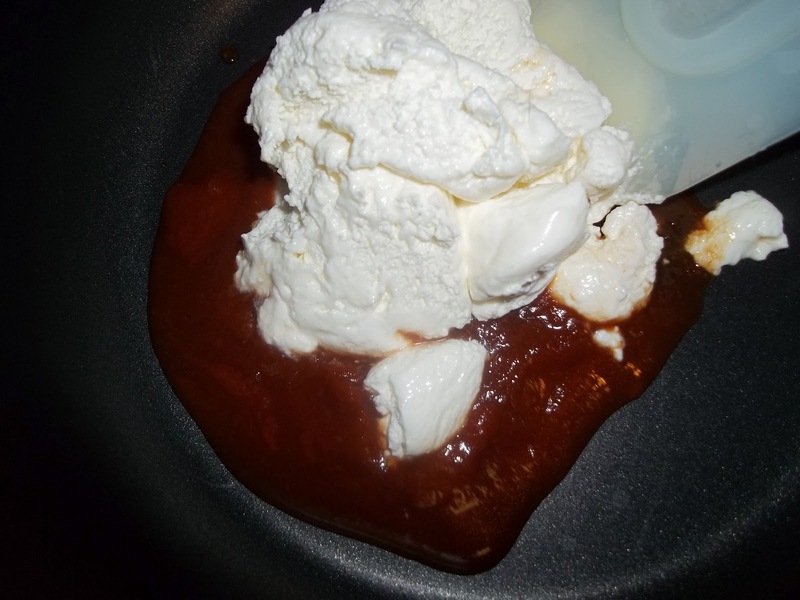 Stir till combined with sauce and continue heating until warmed through. Check out all the great recipes that will be posted this week. Your cooking again!!! Sounds hot to me but Johnny is very interested in this. Says oh sounds so good. Did you buy the Adobe sauce or make it? I bought the sauce with the chipotle peppers. Sounds delicious! I might prefer a less spicy version though. Which ingredients would you suggest I use less of to still have lots of flavour? Less adobo sauce, that is where the heat really comes from. I would sub an equal amount of butter for the adobo sauce. If that may still be too spicy, go with the cream cheese corn, the link is at the top of the post, you can sub canned or frozen corn for the fresh and it is yummy! Oh, you with your chipotles and SW flavors. You kill me every time! Looks fantastic! Thank you for linking this week. YUM! WE love chipotles in adobo sauce, and I'm always looking for different ways to use it. This looks great!